At one point in my life, I was an endless cloud of sadness.. There were just… things..going on that didn’t seem to ever get better. So I did what most people would do.. I found an outlet to drown my sorrows in. They were beautiful, dark, and just simply perfection....it wasn’t until after several weeks that I realized how bad they were for me.... and that maybe they weren't helping my situation.... just making it worse. So one day while sitting on the couch, I told them I just couldn’t do it anymore.. I’ll never get out and get myself together if I sat around the house spending all my time with them. and threw the 2 bags of Oreos in the trash. For the garnish I used some of the bittersweet chocolate for the shavings. Using a food processor, finely crush the Oreo cookies. 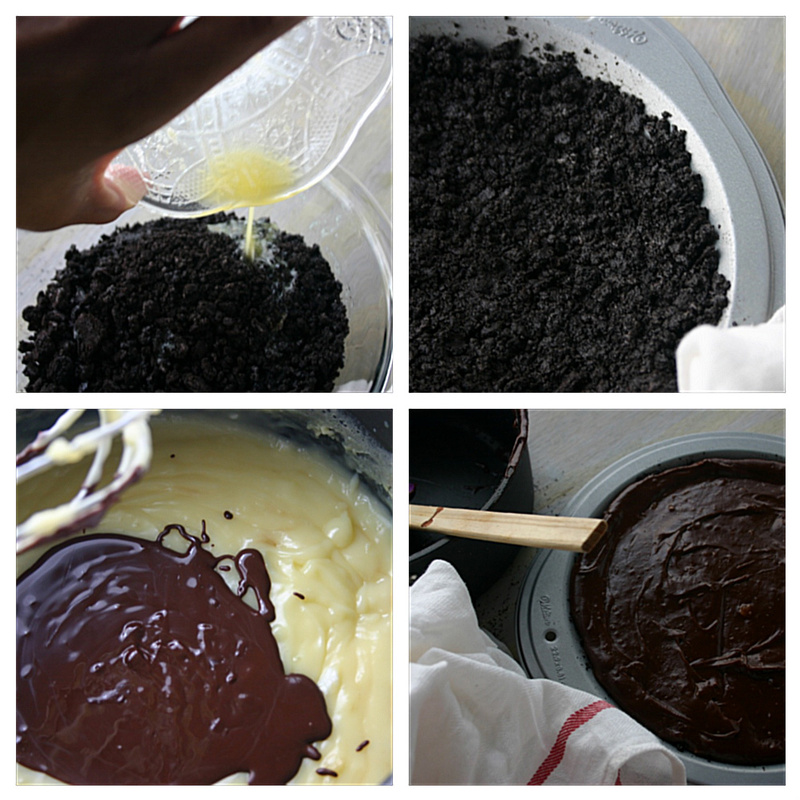 Then in a separate bowl stir together crushed Oreos and melted butter. 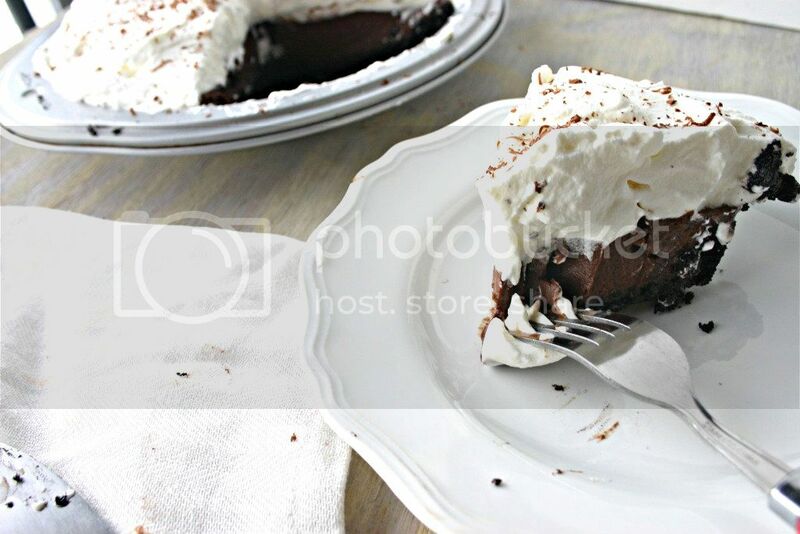 Firmly press the mixture to the bottom and sides of a 9in pie pan. Place in the freezer for 30 minutes. In a heavy saucepan whisk together 2/3 cup sugar and cornstarch. In a small bowl, whisk together the egg yolks and milk.. then add to the saucepan with the cornstarch mixture. Cook over medium heat whisking constantly for about 10 minutes until mixture starts to thicken. Cook for about another minute then remove from heat. Melt the chocolate bars in the microwave for 1:30 stopping every 30 seconds to stir. Stir melted chocolate and vanilla into thickened custard like mixture. Then spoon filling into prepared pie crust. For the whipped topping... 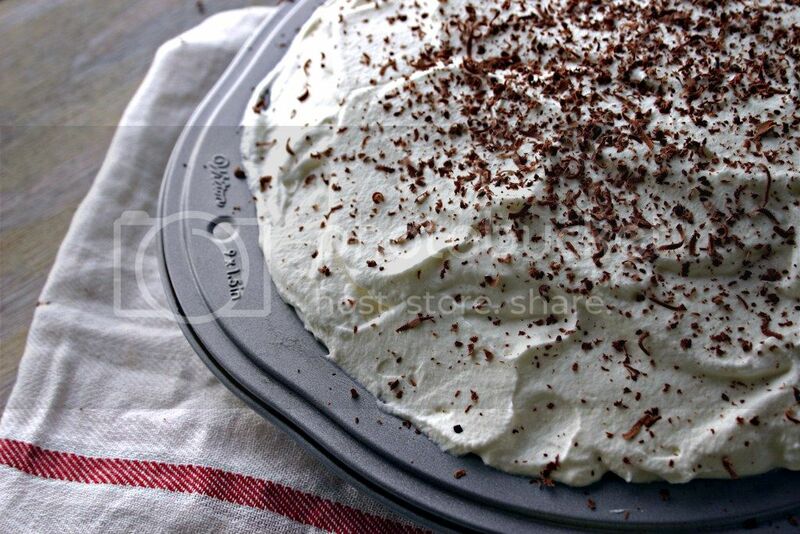 Beat whipping cream and 1/4 cup granulated sugar at medium-high speed with an electric mixer until soft peaks form. 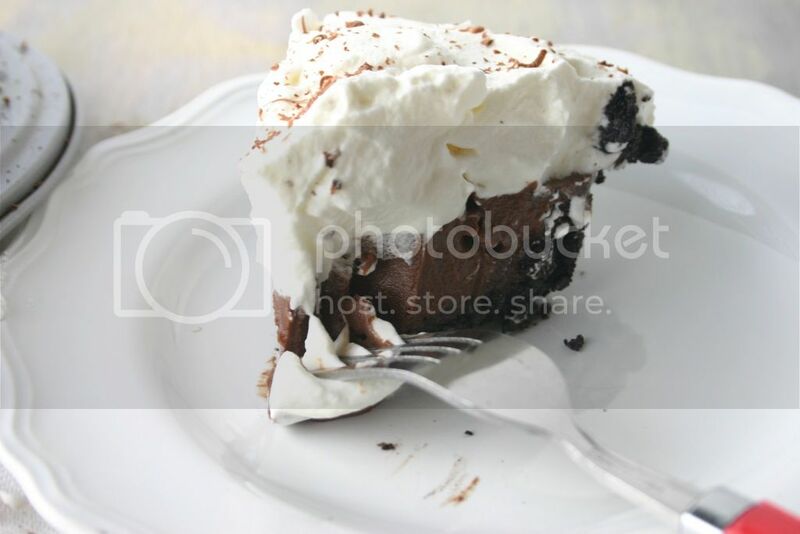 Top pie with whipped topping and garnish with chocolate shavings or crushed oreos if desired.